Although some might consider this blasphemy, given that the SimCity franchise is most commonly associated with the PC and Mac, my first encounter with Will Wright’s SimCity was on the Super Nintendo (SNES). Though the game wasn’t quite as good as it was on other, more powerful platforms, the SNES version of SimCity captured my imagination with its deceptively simple city building mechanics. 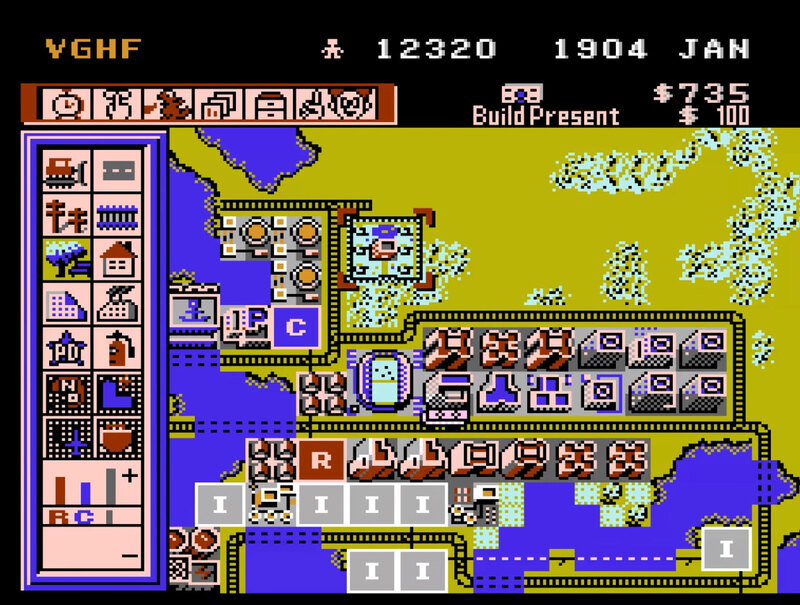 Now a Nintendo Entertainment System (NES) version of the original SimCity has appeared online. Last year, two prototype cartridges for the game surfaced at the Portland Retro Gaming Expo. Now, courtesy of the Video Game History Foundation’s Frank Cifaldi, digital copies of the game are available online. Along with the game’s ROM file, Cifaldi also released an in-depth look at the history of SimCity for the NES. Cifaldi says that Nintendo’s Shigeru Miyamoto, the creator of classic video game franchises like Zelda and Mario, wanted to develop a city building simulation game for the NES. Rather than create an entirely original title, he opted to collaborate with SimCity creator Will Wright on a version of the game for the NES and SNES. It’s unclear why the game was cancelled given that it seems complete. It’s likely that Nintendo wanted its marketing efforts focused on SimCity’s SNES port, giving interested gamers a reason to upgrade to the Japanese gaming giant’s then recently released 16-bit console. Nintendo has a history of this strategy. For example, StarFox 2 for the Super Nintendo wasn’t released back in 1996 despite being finished because Nintendo wanted to concentrate consumer attention on Star Fox 64 and the Nintendo 64. StarFox 2 finally received an official release in last year’s SNES Classic. Now excuse me while I download SimCity 2000 from Origin.